On 14.05.1993, by order of the Ministry of Education and Science of the Kyrgyz Republic No. 163/1 on the basis of the Decree of the President of the Kyrgyz Republic of April 2, 1993, the Resolution of the KR No. 197 dated May 10, 1993, the Jalal-Abad State University was established. In the same year, the Department of Language Disciplines was organized in the Engineering and Pedagogical Faculty, which included Kyrgyz, English and Russian. In November 1993, the Chair of Foreign Languages ​​was organized on the basis of the Department of Language Disciplines. In 1994 the department of the Kyrgyz language and literature was established. Since 1994, the Department of Language Disciplines has been renamed the Department of Russian Language. September 1, 1997 the specialty “Russian language and literature” was opened. With the opening of the specialty “Russian Language and Literature” in the same year, the department began to be called the Department of Russian Language and Literature. By the decision of the Academic Council of JINR on September 21, 2005, the Faculty of Philology of the Peoples of the CIS was established on the basis of the specialty “Russian Philology”. On April 2, 1993 the first head of the department of language disciplines was the candidate of pedagogical sciences, Professor M. Darbanov. Department of language disciplines, which included Kyrgyz, English and Russian. September 1, 1997 the head of the Department of Russian Language and Literature begins to work Ph.D. in Pedagogical Sciences, Associate Professor Darbanov B.E. September 1, 2007 the head of the department of Russian philology begins to work senior lecturer of the department Zhusupova AA. Since September 10, 2013 he has been working as a manager. Department of Russian Philology, Candidate of Philology, acting. 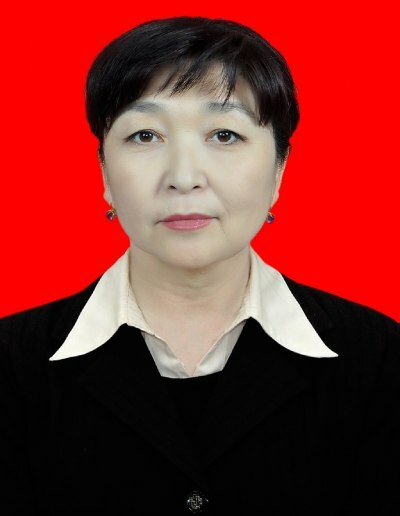 Assistant Professor Kalmurzaeva Aichurok Abdirashidovna. Teaching staff of the department prepared and published more than 50 educational and methodical works, more than 200 scientific articles, more than 10 textbooks. At the moment 1 doctor of sciences, 4 candidates of sciences, 4 senior lecturers, 7 teachers work at the department. The scientific potential of the department is 31.2%. Under the guidance of the teaching staff, students of the specialty “Russian Language and Literature” take part in the research work of JAGU and Kyrgyz universities. Students successfully participate in republican and regional olympiads and win prizes. In 2015-2016 academic year 1 student of the specialty of the Russian language and literature took 2nd place in the interuniversity regional olympiad.